Do not gap Iridium or Platinum tipped spark plugs. The Iridium or Platinum is only a coating, and is easily damaged. 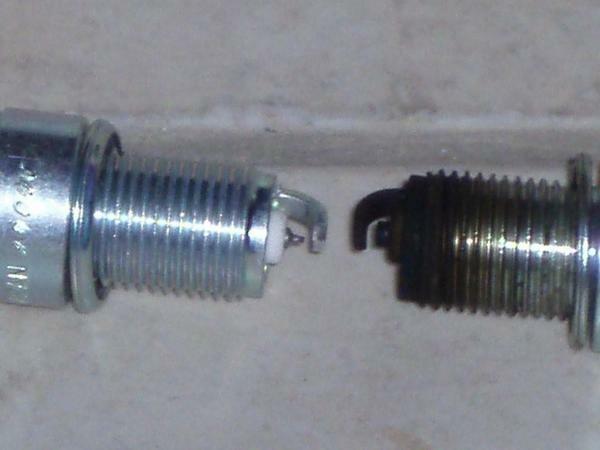 Not gapping plugs is hard to get used to, but you should not gap Iridium and Platinum tipped spark plugs. The Iridium or Platinum is only a coating, and is easily damaged. The only “maintenance” is replacement. One time installation, one time removal. For additional information, please see GM recommendation below. The information below was originally sent to all GM Dealers on October 14, 1999. This information applies to all vehicles equipped with Iridium or Platinum Tipped Spark Plugs. Iridium and Platinum tipped spark plugs are designed to operate under normal vehicle operating conditions for up to 100,000 miles (160,000 kilometers) without periodic maintenance. As stated in the owner’s manual, maintenance needs may vary because of all the different ways people use their vehicles. As a result, more frequent inspections and replacements may be needed if the vehicle is operated in extreme conditions. When no engine performance concerns are present, Iridium and Platinum tipped spark plugs should not be removed for periodic inspection and cleaning of threads, doing so may compromise the spark plug’s ability to withstand their corrosive environment. The threaded area, although not sealed, serves as a protective environment against most harmful elements. Removing and cleaning spark plugs will introduce metallic debris and brush scrapings into the thread area which may further the corrosion process. Chromate coated spark plugs should not be wire brushed or handled in any way once they are put in service. Chromium topcoats form a protective oxide on spark plugs that is not effective if scratched. Both coated and uncoated spark plugs will have the best chance of surviving a corrosive environment if they are left in position. Attempts to maintain spark plugs by removing them and cleaning the threads can actually create the corrosive condition that the procedure was intended to prevent. This entry was posted in Motorcycles and tagged gap iridium plug, gap platinum plug, gapping spark plugs, iridium plug, Motorcycle maintenance, platinum plug, spark plug gap, spark plugs, Virago 250 maintenance. Bookmark the permalink.